Vanitas was created when Master Xehanort took the darkness from Ven's hearts. As a being of pure darkness, Vanitas is - in every sense of the word - evil. He rarely thinks before he attacks and is unflinching when causing pain to others (Aqua, Terra, and Ven), both physically and mentally. Vanitas really enjoys chaos and destruction. He is very composed and never shows any sense of concern or fear. He is also very manipulative, and rarely beats around the bush when telling others hurtful words. The only thing more powerful than Vanitas' sharp tongue is his power with a keyblade. He is very skilled and never holds back. Vanitas is extremely fast and can transport above his opponents. He can also preform dark magic. But, arguably, his most fearsome power is his ability to control Unversed. Vanitas was created some time before the events of Birth by Sleep. 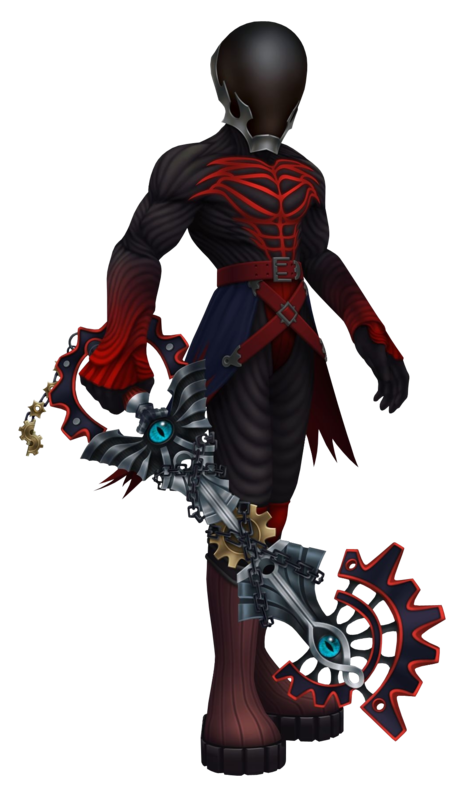 Ventus was Master Xehanort's apprentice and when Master Xehanort found that Ventus couldn't use the darkness in his heart as power, Master Xehanort used his keyblade to extract the darkness from his heart, thus creating Vanitas. Vanitas follows Master Xehanort to the Land of Departure so that Master Xehanort may oversee Aqua and Terra's Mark of Mastery exam. Vanitas stays behind, where he soon meets Ventus. Vanitas, who needs Ventus to be stronger so as to make the χ-blade, gives Ventus his incentive to leave the Land of Departure by telling him to go after Terra. Vanitas then goes from world to world; using his power to summon Unversed spreads them around the worlds so as to strengthen up Ven. Ven finally catches a glimpse of Vanitas in the Lanes Between and follows him to the Keyblade Graveyard. There Ventus tries to get answers from Vanitas concerning Terra, but Vanitas is no help. Vanitas challenges Ven to a duel, which Ven loses quite quickly, but is saved as Mickey appears on the scene. Mickey and Ven challenge Vanitas, who falters but then shrugs off the loss and leaves. Vanitas appears again, this time to Aqua as she is in the Central Square of Radiant Garden. After asking about Ven's strength and taunting her, the two fight. Aqua defeats Vanitas, but before she could deal the finishing blow he recovers and leaves, leaving behind the enigmatic message that she could be his "Plan-B". Vanitas then travels to Neverland where he has order from Master Xehanort to bring Mickey to him at the Keyblade Graveyard in order to lure Ven to him. Vanitas succeeds and defeats Mickey. Later, however, he runs into Aqua again at the Indian camp where he tells her he doesn't need her anymore and then goes in for the attack with the intent to kill. Aqua is nearly defeated but ultimately wins, but not before she passes out. When she awakes she finds Vanitas gone. Vanitas' origin and Ventus' lost past are finally revealed to Ven when Vanitas and Ven come face-to-face on Destiny Islands. Vanitas asks if Ventus is ready to fuse and create the χ-blade, but Ven refuses and taunts Vanitas by telling him they need to fight. Vanitas then threatens to kill Terra and Aqua and leaves, but Ven follows him to the Keyblade Graveyard. At the Keyblade Graveyard where the final battles take place. Vanitas first joins Master Xehanort in a battle with Terra after Master Xehanort grabbed Ven, froze him, and dropped him from the cliff. After the two are weakened, Master Xehanort tells Vanitas to go after Ventus and Aqua. Vanitas comes from above and strike Aqua down. But before Vanitas could deal the devastating blow to Aqua, Ven thaws out and rushes Vanitas. Once defeated Vanitas reveals his plans to Ven, how he lured Ven from home, how he's the source of Unversed, and how they must forge the χ-blade. 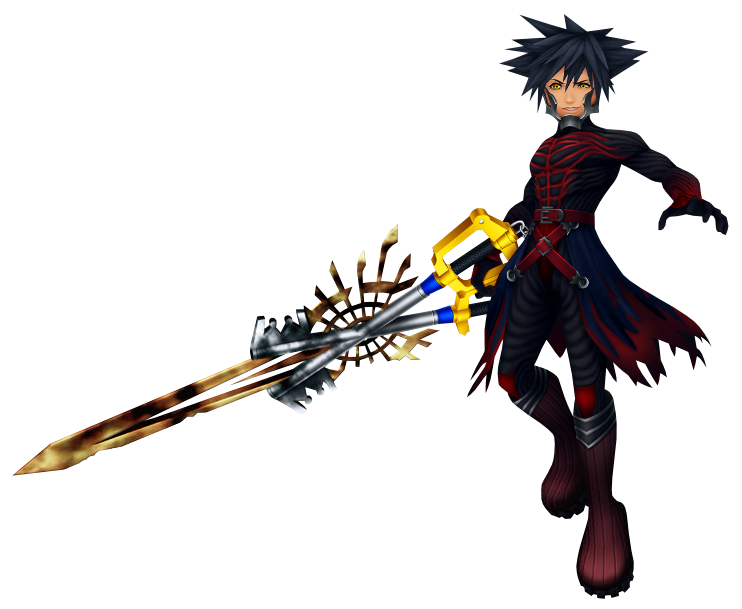 Vanitas and Ventus are transported to the Awakening and the two battle, Vanitas now with a fragment of the χ-blade. Vanitas explains that their fusion was incomplete and tries again to battle Ven to complete the χ-blade, even at the risk of Ven losing his heart if the χ-blade is destroyed. Ven conquers Vanitas once and for all and Ven loses his heart in the process. Meanwhile, Ven's body is possessed by Vanitas and he challenges Aqua and her new ally, Mickey. Possessed Ven battles Aqua and Mickey with a completed χ-blade. The duo bring down the possessed Ven and, at the same time, the internal battle between Ven and Vanitas is finished. Thus Vanitas is completely destroyed, and, being the source of all Unversed, wipes them from all the worlds as well. A being born of the darkness Master Xehanort extracted from Ven's heart, Vanitas is, if anything, different, in the largest form of the word. Through the experiences he's been through, he has developed a seeming lack of emotion save for the pure glee and satisfaction he feels when he sees others suffering just as he once did by the hands of his master. Vanitas appears for a split moment to Sora alongside of Young Xehanort in the Notre Dame Cathedral, leaving behind a cryptic message; Sora's heart is a prison, but he himself is not the prison. What does that mean?